The amount of acidic rain, fog, and snow deposited on forests has decreased since the Clean Air Act of 1990. In the 1960s, forests across New England were declining. The decline affected red spruce and balsam fir forests, especially those at high elevations. McNulty began investigating nitrogen saturation in 1987, when he was a graduate student at the University of New Hampshire, under the guidance of John Aber. 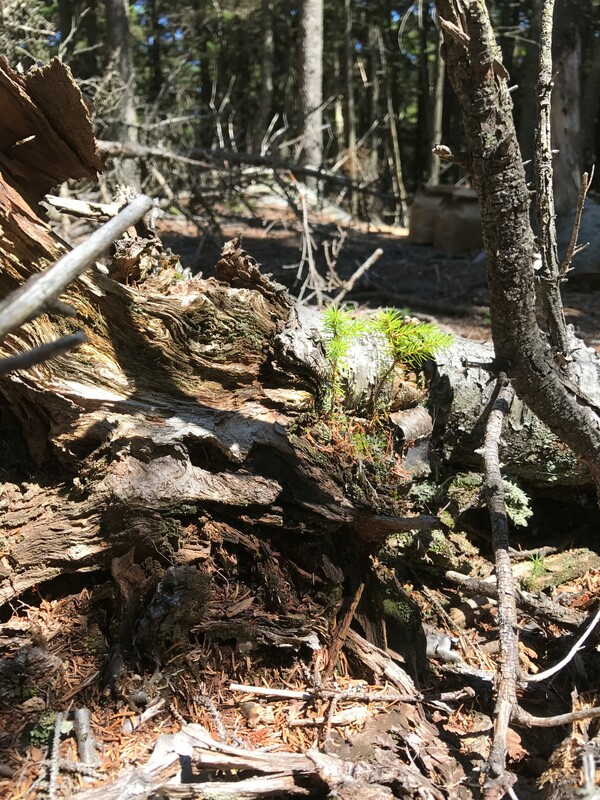 After a regional field survey across high elevation spruce-fir forests, McNulty and his colleagues decided to conduct the study on Mount Ascutney, in Vermont. They hypothesized that chronic low doses of nitrogen could cause the forest decline. The study began in 1988, and McNulty and his colleagues recently published results in the journal Science of the Total Environment. The scientists established research plots, and treated some of them with a nitrogen-rich fertilizer. Some plots received 35 pounds of nitrogen per acre each year, and others received 70 pounds of nitrogen per acre each year. These were rates of nitrogen equal to nitrogen deposition that was occurring in parts of Europe at the time. After a few years, the local nitrogen cycle was affected. For example, the concentration of calcium and nitrogen in spruce leaves declined. Two important steps in the nitrogen cycle – nitrification and mineralization – also changed. Both processes are driven by soil bacteria on the forest floor. Between fertilizer and atmospheric deposition, some plots received more than 70 pounds of nitrogen per acre each year. “We were able to detect nitrogen saturation in these plots,” says McNulty. Nitrogen saturation describes the effects of too much nitrogen in forests. At the level of an individual tree, large amounts of nitrogen initially lets trees grow faster. However, root biomass shrinks, while nitrogen in the leaves, branches, and trunk increases. “If nitrogen additions continue, the tree would progress through four nitrogen saturation stages that would ultimately lead to tree mortality and overall forest decline,” says McNulty. At the ecosystem level, excess nitrogen throws the cycle into high gear – the net rates of mineralization, nitrification, nitrous oxide emissions, and nitrate leaching increase. “We found that in plots where fertilizer was added, the overall amount of nitrogen on the forest floor fell,” says McNulty. The nitrogen was probably lost due to nitrous oxide emissions and nitrate leaching. The findings confirm that small but chronic nitrogen additions can cause nitrogen saturation. This finding was initially described by other scientists in the late 1980s. Plants use inorganic nitrogen, such as ammonium and nitrate, for growth. This form of nitrogen is a result of a bacterial process called mineralization. On Mt. Ascutney, the ambient annual rate of mineralization is about 11-13 pounds per acre. On the plots where nitrogen additions tripled the ambient rate, nitrogen saturation occurred within a few years. Nitrogen saturation also occurred in plots where twice the ambient rate was added, but it took longer. The amount of nitrous oxide and other nitrogen-containing compounds deposited from the atmosphere each year has fallen. However, even without nitrogen deposition, high-elevation spruce-fir ecosystems are imperiled. Over the course of the 30-year study, the average temperature has increased. Each decade has averaged almost one degree Fahrenheit warmer than the last. Drought is expected to become more common and more severe, as are early spring temperature fluctuations. The fluctuations cause thaw-freeze cycles that can kill young seedlings.